Dynamic clash between Los Incas and Danish Dynamite is in front of us and you’ll hardly find better game to test our knowledge/luck, put bets and earn money. Peru never had chance to play against Denmark and both teams will try to achieve the best possible result in this historic match. Peru was truly lucky to take part in the biggest event in football. After horrible start in South American qualifiers they finally found their style of play in autumn 2016. Since then, Peruvians recorded only two defeats in last twenty-one games. When qualifiers finished, Peru had the same number of points as Chile but because of better goal difference they went through to the play-offs where they had to meet New Zealand. After two matches, Peru was better and they qualified for World Cup in Russia. So far they played five friendly matches in which they collected four victories. Peru defeated Croatia 2:0, Iceland 3:1, Scotland 2:0 and Saudi Arabia 3:0. Star of the team is experienced striker Paolo Guerrero who played only two matches for Flamengo since October 2017 due to injury. Peru is sturdy team and we expect tough fight between them and Denmark. Denmark was in group E together with Poland, Montenegro, Romania, Armenia and Kazakhstan. When qualifiers finished they reached second place right behind Poland. Closest follower was Montenegro but one round before the end Denmark defeated them in tense match thus securing place in play-offs. Next rival was Ireland and Denmark humiliated them in midst of Dublin. Friendly matches did not go so well. Danes lost two matches, twice they played draw and twice they celebrated victory. Good thing is that Denmark is well known for their firm defense. Only three teams managed to score more than once against them in last two years. Reason for that lies in fact that Danes play almost always with three attackers. Opposing team is pressed so hard that they have trouble to create chances of their own. Denmark wonÂ’t change much and we expect to see attacking football from very start. 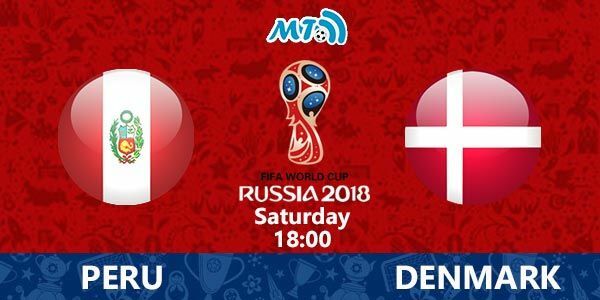 Enjoy in the clash of Peru vs. Denmark and be sure to take your time and check our predictions and betting tips for this football match. Read our betting preview and take your chance. Denmark coach Age Hareide: "We have seen all Peru's matches, including the match against Sweden. Like us, they have a strong defense and, like us, have not lost in a long time. 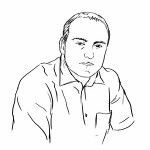 When they win the ball, they set off quick counterattacks." Peru have all 23 players available for this game and all of them are highly motivated to play aggressive from the first minute. On the other side Denmark also have almost all players ready for the opener and they believe that can beat Peru and pick up all three points on Saturday. Peru and Denmark have a real chance of joining France through to the next round of the World Cup and both sides are highly motivated for the opening game. They play strong football in defending and main objective for this game will be fast counterattacks, so we donÂ’t expect lots of scoring chances on this match. Two teams look defensively when you look at their recent friendly results, but when they play competitive matches then will fight to score for a win. So we expect a true football battle for the first points in Group D. On this match we expect lot of midfield duels and fouls without lots of scoring chances. However our prediction and betting tips for the match Peru vs Denmark Prediction: Draw. We expect match without a winner, but probably we will see goals. So our risky bet for the match is bet on Correct score 1-1. A Â£100 bet on correct score 1-1 returns Â£600. Click here! Christian Eriksen is obviously the standout man for Denmark and you can try to bet on Eriksen to score. Also if you want to win more cash from this game then can bet on cards. We expect a lot of yellows, and our bet on Over 5.5 yellows can bring us more cash. Also we expect more then 27 fouls on the match. Have a nice betting day and good luck in earning money with our football prediction and betting tips.